A week or so ago, my friend Cynthia asked me if I wanted to go to the United Food Bank of Plant City’s annual fundraiser Celebrity Chef dinner featuring chef Fabio Viviani. If you are a fan of top chef, you may have remembered Fabio from season 5. This is one event I’ve wanted to go for the past few years. Because of time constraints I wasn’t able to go last year when Whitney Miller, Master Chef season 1 winner, hosted the event. So, this year I jumped at the chance to a) spend some time with a dear friend, b) meet such a talented chef and c) of course give something back. 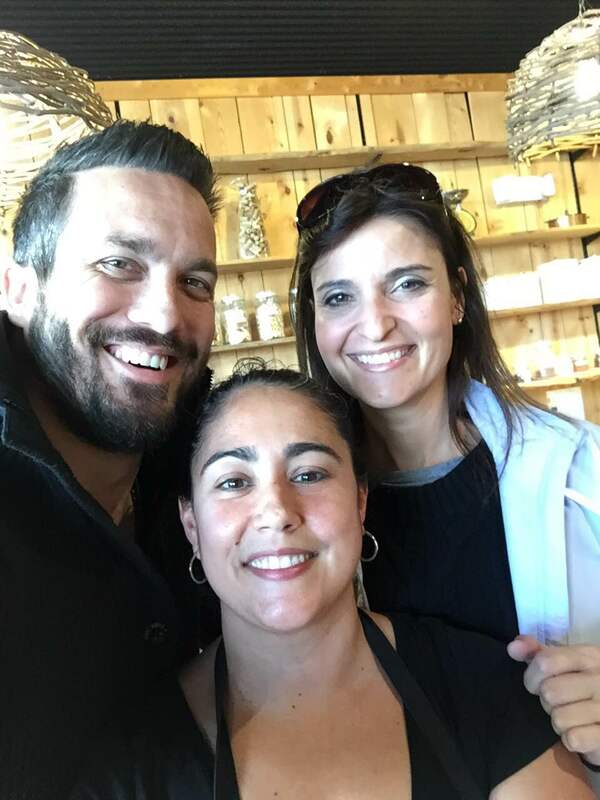 Fabio Viviani, Cynthia and I at the corner store in Plant City. The event was held at the Trinkle Center in HCC in Plant City. It was fun to see Jennifer Eipstein from Fox 13 Good Day Tampa Bay as the MC because that’s the morning news show we watch. 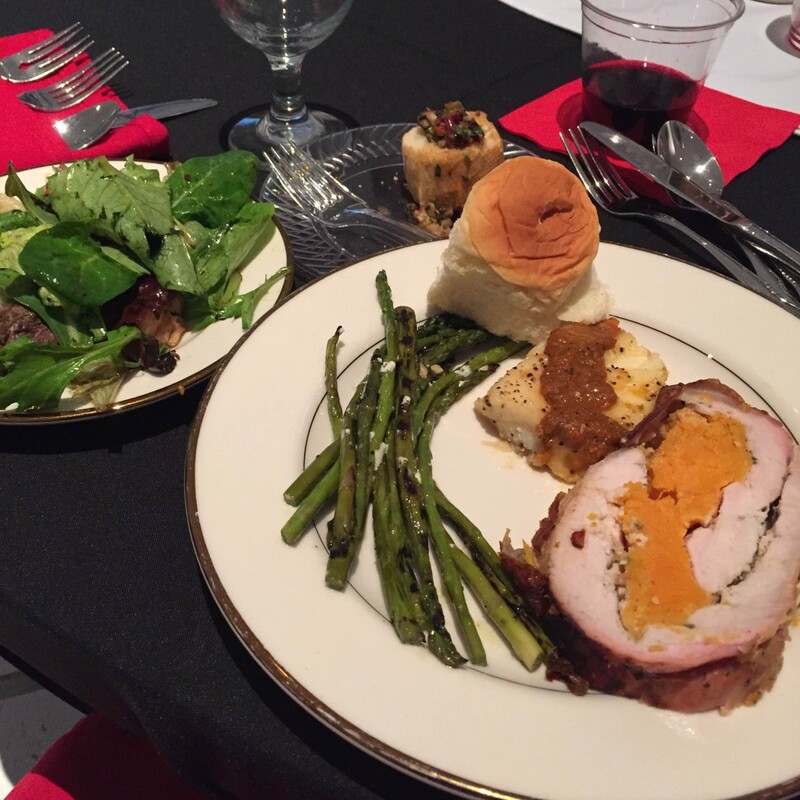 The menu consisted of Chilean Sea Bass, Roasted Pork Tenderloin with squash, roasted potatoes and salad. For dessert, we had Ricotta Chocolate Chip Fritters! Everything was amazing. United Food Bank Celebrity Dinner. After dinner, he showed us how to cook the Chilean Sea Bass we just ate and dared the audience to make pasta from scratch in 3 minutes! I’m on it. If you didn’t watch Fabio on Top Chef, I suggest you go back and watch some episodes! He’s hilarious. His accent just adds to his humor. If he comes back next year, and you can attend the event, I suggest you make plans for it. He’s totally worth it and the food will be amazing. Trust me. Or you can head over to Miami and try his food at Siena Tavern.